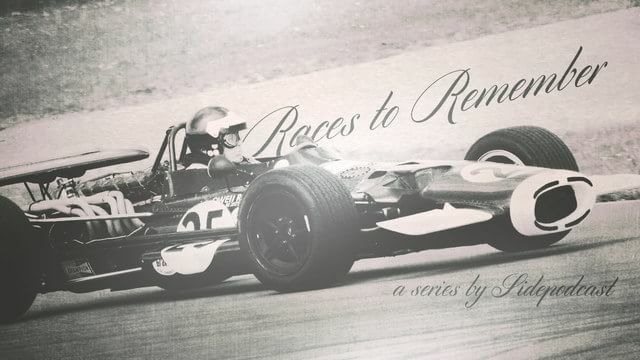 Hello and welcome to the final episode in the second series of Races to Remember. We’ve had a good run, haven’t we? Reliving the best races that F1 has to offer, particularly those that have been statistically significant or radically record-breaking. This is our last of seven shows and we’re looking at a race that broke its way into the record books in a number of different ways. We’re talking longest, most safety cars, most pit stops for a winner, every kind of crazy you can think of. You know the race I’m talking about, it’s Canada 2011. 2011 isn’t that long ago, but a quick refresher is required before we dive headlong into the Canadian Grand Prix. It was the seventh race of the season, following the Monaco Grand Prix which had been won by Sebastian Vettel. The Red Bull driver was leading the championship, with McLaren’s Lewis Hamilton behind him. It wasn’t particularly close at that point, but there was still a good deal of season left for things to get competitive. Sebastian Vettel got his weekend off to a bad start by crashing during the Friday practice sessions but he made good by securing pole position, with two Ferrari drivers behind him – Fernando Alonso ahead of Felipe Massa. Race day dawned very wet, and although as the start approached the downpour halted, the track was still very damp. The strategists had a headache straight away, whether to start on intermediate tyres or full wets, but the problem was solved when the FIA confirmed a safety car start. That meant all drivers had to be on full wet tyres when the race got underway, there would be no formation lap, and DRS would be disabled. The safety car pulled off track after five laps, leaving Vettel to lead the race. Just a few minutes later, the two McLarens collided. Lewis Hamilton had already made contact with Mark Webber at the start, and he then crashed into Jenson Button, knocking himself out of the race. The safety car came back out on lap 8 whilst the marshals cleared the stricken McLaren. There was more bad news for Button, too, as he was handed a drive through penalty for speeding behind the safety car. The racing had just got going again when the rain returned, and by lap 19 the safety car was back out for the third time. On lap 25, the conditions were considered undriveable and the race was red flagged. At this point, after plenty of pit stops to take advantage of the safety cars and the changing conditions, Vettel was leading Kamui Kobayashi in the Sauber and Felipe Massa for Ferrari. After nearly ninety minutes of waiting and wandering, the crowd started to cheer as the rain stopped, although the odd shower continued to pepper the track with moisture. A further half an hour later, two hours after the race was red flagged, the cars started circling again behind the safety car. At ten to nine, local time, the green flags came out and the racing was back on. Button, amongst others, headed into the pit lane quite early on to change to intermediate tyres. The McLaren driver then attempted a move on Ferrari’s Fernando Alonso which saw them make contact. Alonso continued on only briefly before retiring from the race and… you guessed it, bringing out the safety car. That’s its fifth appearance, if you’re counting. Button was forced to pit, for the fifth time, if you count his drive through penalty. Out front, Vettel continued to lead, with Michael Schumacher making his way up the order to sit in second place. Paul di Resta had been going well for Force India, but a collision with Renault’s Nick Heidfeld knocked him out of the top ten. Adrian Sutil was handed a drive through penalty for overtaking behind the safety car, and the Force India driver later retired on lap 51, compounding a disastrous day for the team. Around about the same time, Button returned to the pit lane for his sixth visit. The fresh tyres rejuvenated the McLaren driver and he started to chase the leading pack. Nick Heidfeld retired after a scrappy afternoon, which brought out the safety car for the sixth and final time. When it left the racing to continue, Vettel led away with a brilliant scrap behind him for second place. Mark Webber made a mistake going wide around a corner and allowing Button through into third, and moments later the Brit passed Schumacher to move into second. Five laps remaining, Jenson chased race leader Sebastian Vettel down until the final lap, where Vettel mimicked his teammate, ran wide and allowed Button through to take the lead, and win the race. From seventh on the grid, via wrong tyre choices, a teammate collision, a drive through penalty, six visits to the pit lane, a brief stint down in 21st place, and then up into the lead, it was a hard fought victory for the McLaren driver. Button was under investigation for the incident with Fernando Alonso but was cleared. He won the race by two seconds over Vettel, with Webber passing Schumacher for third place and a double Red Bull podium. Button moved into second place in the championship, with Hamilton dropping down to fourth, leaving Vettel to lead. The German would go on to win a dominant title, his second of four consecutive championships. Button won two more races that season, in Hungary and Japan, to finish second in the standings. But it’s the Canadian Grand Prix that was the stand-out win of that year, and maybe even the decade. That’s all for this episode and this series of Races to Remember. We’ve had a great run of seven shows, highlighting the closest, shortest, longest and latest events of Formula One’s vast history. Do let me know if you’ve enjoyed the show, share your comments on this series and suggestions for future topics via the contact form or in the show notes on Sidepodcast.com. Thank you for listening.